Jedox Supervision Server (SVS) is a software tool that can monitor the events in a Jedox OLAP database and can respond via a PHP script on defined events. Different types of interactions will result in the execution of different pieces of PHP code. 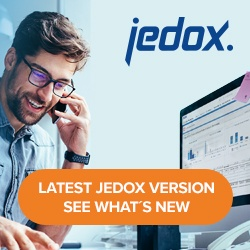 As of Jedox 7.0, SVS will be installed and started by default. The Supervision Server process appears in Windows Task Manager (see screenshot below). Select the option to Show processes from all users. You can stop, start, and restart SVS without stopping JedoxSuiteMolapService. Stopping disables SVS until either SVS is restarted with the option „Start SVS“ or until JedoxSuiteMolapService is restarted. You can switch on the different branches (known as “workers”) of the SVS program by entering the following instructions in the palo.ini or when starting from the command line. There are two PHP scripts in the installation folder of the SVS: main.php and sep.inc.php. The file main.php is necessary and should not be changed. In the file sep.inc.php, events can be defined or you can reference added scripts with instructions on how the SVS should react to the different events. In the file sep.inc.default.php basic responses are given to all possible events. For activation, however, they must be programmed with an appropriate PHP code. The best plan is to work with only one include file. In an editor, you can check the entries of such a SVS script file and adjust them, if appropriate. Please enter then this file as an include statement in the file sep.inc.php. The SVS will be started by restarting of the JedoxSuiteMolapService with the corresponding palo.ini instructions. After the successful start the process “Supervision Server” appears in the Task Manager of Windows. The Supervision Server uses an embedded PHP interpreter. For basic usage, there is no need to install PHP on your system, unless you want to use other PHP APIs in addition to the PHP API provided with Jedox. IP or name of the host that runs Jedox OLAP server, e.g. “localhost”. Port that the Supervision Server can use to access Jedox OLAP Server. It has to match the “admin” port of the Jedox OLAP server configuration. Defines the path and the name of the log file. 2019-01-28T09:55:17+01:00 pc-username JedoxSVS:  SupervisionServer: terminating. The PHP API functions support two different parameter-passing mechanisms. The first one uses the signature “function(connection,database,…)” and the second one uses the signature “function(connection-resource-string,…)”. For Supervision Server scripts, the second notation must be used. The connection object is managed internally and the connection resource string has the form “SupervisionServer/$database”, where $database is the name of the database we are working with. As explained above, sep.inc.php is the only file one needs to modify. The Supervision Server includes a logging mechanism that can be used for debugging purposes. Use the function sep_log($string) in order to write to the log file …\Jedox\Jedox Suite\log\svs.log. In general, svs.log is a good place to look if things go wrong, because exceptions thrown by the PHP extension are monitored there.